More than 30 years ago, Park City resident Gene Moser and a group of local hot air balloon pilots set out to create the classiest Hot Air Balloon festival in the world. Their idea was to create a balloon festival that reflected the free-spirited, anything-goes exuberance of Park City; Autumn Aloft was the brainchild of these passionate balloonists. Before long, Autumn Aloft had outgrown its original ideation as it garnered national and international media coverage and interest from balloon pilots across the world. 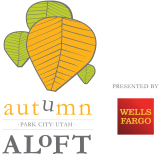 If you are a long-time Park City resident, you probably remember the Autumn Aloft? It is sure to bring a smile to your face. If you are a newer resident, I’m sure you can imagine the delight…just think of the last time you saw a few Hot Air balloons floating across the horizon. Now, imagine 20. 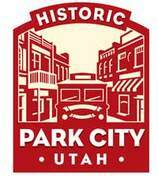 Much has changed in the last 30 years; Park City is now a flourishing mountain destination attracting visitors almost year-round, and enthusiastically plays hosts to hundreds of world-class events each year. So why, we’ve asked ourselves, why not bring back Autumn Aloft? The 2019 Autumn Aloft will be the 6th year of the event's return. Thanks to the generous support of Autumn Aloft partners, we look forward to filling the Autumn sky with hot air balloons for years to come.